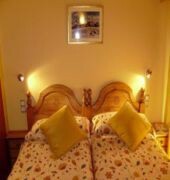 Apartamentos La Neu is a 3 star hotel with a setting where you can have a real Ski Hotels experience. 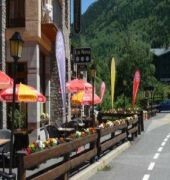 Apartamentos La Neu is located in Ordino, 9 km from Andorra La Vella city center.By staying at Apartamentos La Neu, you will be close to many attraction and landmarks such as La Rabassa, Ordino - Arcalis and Ice Palace of Andorra. 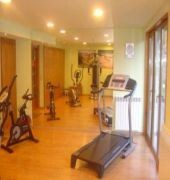 Proximity to Salvaza (CCF) Airport is 70 km.If you're wondering what to do outside of Apartamentos La Neu, you can join others experiencing Caldea, go golfing to Golf Vall d'Ordino or check out the latest games or events in Estadi Comunal de Aixovall.While staying at Apartamentos La Neu, you can take the advantage of the Elevator / Lift, Laundry Service, Kitchen, Sofa / Lounge and Balcony / Terrace. Restaurant and Food Facilities include Bar. You can also enjoy Bicycle Storage.Apartamentos La Neu room facilities include Cable / Satellite Television for your convenience.